Since emerging with their debut EP in 2008, London-based Three Trapped Tigers have amassed a steadily growing army of admirers by doing everything possible to avoid being pigeonholed. Broadly speaking, what TTT do is play intelligent dance music - that quasi-genre for so long associated with Warp records - using 'traditional' instrumentation like drums and guitars alongside synths and laptops. It's an interesting proposition on paper, enough to make you wonder why someone hasn't tried it before. Perhaps Warp savant Squarepusher got closest on albums such as Ultravisitor, where his live bass playing combined with drum'n'bass beats. There's certainly a touch of Squarepusher about '10', the opening track on this EP, but that's by no means all TTT bring to the table. In fact, as fans of their previous EPs will know, they seem gleefully unable to stick to any one idea for longer than a couple of minutes. '10' starts off sounding heavily industrial and artificial; oleaginous synths bubble and coagulate over crepuscular, bludgeoning beats. Thrillingly, there's also a hint of the icy, skeletal proto-electro which director John Carpenter used to soundtrack his early horror and suspense films, but it doesn't last long before everything explodes into what can only be described as a proper prog rock workout. The next few minutes of '10' are massive and relentless; the kind of huge, overwrought noise that Muse can only dream of creating. Once that subsides, we're left drifting in an exquisite inky blackness. It's a dazzling opening salvo by anyone's standards, even untouchable darlings of the IDM universe like Aphex Twin and Autechre. So maybe we shouldn't be too disappointed that the next track ('11', as if you couldn't guess) doesn't quite measure up. '11' is post-rock through and through - we're treated to tricky time signatures, wordless singing, rising and falling dynamics. There's nothing at all wrong with this, but there's also very little in the way of surprises either. 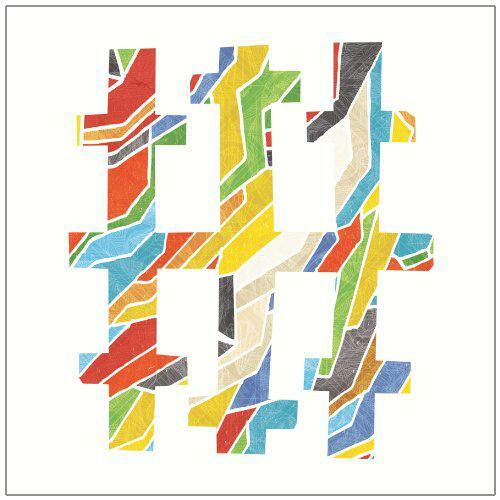 '11's sound is close to the convoluted math rock of Battles, another Warp act, but it lacks their wit and playfulness, employing instead some empty bluster in its loud moments. Thankfully, TTT are once again ahead of the curve on '12', a lovely, lonely-sounding, dramatic slow-burner full of glacial synth sounds and skittering percussion. Final track, '13', owes a debt to the fragile piano and percussion tracks on Aphex Twin's 2001 album Drukqs before going its own way an expanding to include some simply gorgeous intertwining melodies. Overall, there's more creativity here than most bands manage on a full-length album. 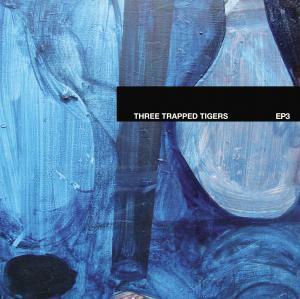 Together with their previous EPs, TTT have already amassed a transcendent body of work. Given that EP3 is apparently the final in a series, it seems likely that a full-length album is what TTT will produce next. Undoubtedly, it will be stunning. However, when you reflect again on what TTT are doing (IDM music with 'real' instruments) and what you have heard over the course of this EP, it's hard not to reach this conclusion: TTT are at their best when they steer firmly towards the electronic.